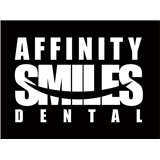 Affinity Smiles Dental (Irving) - Book Appointment Online! Affinity Smiles Dental was founded by Dr Chuong Do and Nathan Ho. At our office, your smile and your dental health are our top priorities. Our practice is devoted to personalized, gentle comprehensive care, including cosmetic, implant, orthodontic and family dentistry. We have a high standard of quality patient care. Our number one goal is to maintain focus on being responsive to our patients' concerns, needs and desires. Our compassionate, professional staff is dedicated to ensuring each visit is as comfortable and stress-free as modern dentistry allows. I only saw Sarah for a special visit, but I like this dentist (and I'm picky). They don't try to sell you things you don't need and they do a good job.